In January 2014, I will be performing one of my wish list pieces with the wonderful violinist Martha Morrison Muehleisen. 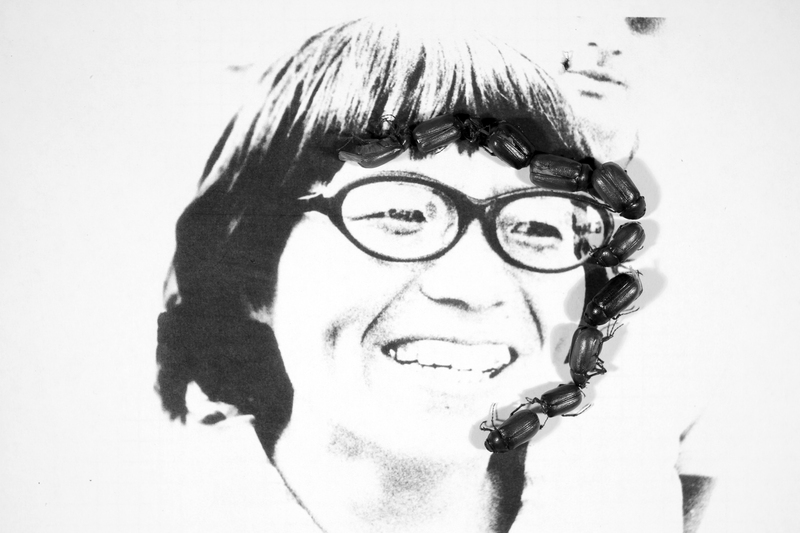 Kafka-Fragmente is a characteristic cycle of 40 tiny movements which we will be performing at the Atlas Performing Arts Center in Washington D.C. We are telling a historical fiction of Junko Tabei, the first woman to climb Mt. Everest, using the complex score of Kafka-Fragmente Op. 24 by György Kurtág to narrate her struggles. Through voice (Megan Ihnen), violin (Martha Morrison Muehleisen), and hand-drawn animations (Karen Yasinsky) we will explore the futility and triumph of the path as metaphor for the human experience. The composition includes a wide variety of musical sounds – some inspired by folk melodies – others range from whispers to shrieks. Anyone who has struggled to find their own external, or internal, mountaintop experience will feel a kinship with this performance. Kafka-Fragmente Op. 24 is György Kurtág’s setting of forty short excerpts from Franz Kafka‘s diaries, notebooks, and communiqués. 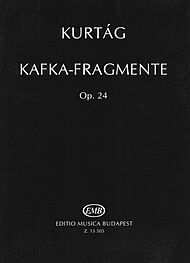 Although the Hungarian composer Kurtág does not have as much notoriety in the States, this work is considered one of the most challenging masterworks of the late twentieth century. Jeremy Eichler has written about Kurtág, “His relatively small body of work contains music of flinty surfaces and fierce emotional compression. He is a master of the aphorism, the terse bundle of notes whose intense Webernian concision can mask vast landscapes of raw and disarmingly personal expression. Listening to his music is like peering at the ocean through a keyhole.” Approximately an hour in length, Kafka-Fragmente explores incredibly diverse sounds and asks much from the performers as well as the audience. The forty settings range from twenty seconds to seven minutes and offer incredible insight into both Kurtág and Kafka’s writing and opportunities for the audience’s own introspection. The Kafka texts that Kurtág chose often return to this idea of “the path” and walking or marching. For example, Teil II – “Der wahre Weg” which is an homage to Pierre Boulez reads, ” The true path goes by way of a rope that is suspended not high up, but rather just above the ground. Its purpose seems to be more to make one stumble than to be walked on.” In late 2012, I wrote to Martha, “I get the sense that collectively these texts are about striving for something, loneliness, and walking/traveling as metaphor for life.” It was this understanding of the text that has solidified our physical performance of Kafka-Fragmente as a historical fiction of Junko Tabei’s amazing journey. As we continued to brainstorm, we alighted on the idea of including a visual component beyond just the live performers. We approached Karen Yasinsky who is a Mid-Atlantic-based artist who specializes in animations and drawings that she also uses in video installations. Her animations have been screened worldwide at various venues and film festivals including Museum of Modern Art, the New York Film Festival’s Views from the Avant Garde and the International Film Festival Rotterdam. She is the recipient of a Guggenheim Fellowship, a Baker Award and is a fellow of the American Academy in Berlin and the American Academy in Rome. When we originally shared our ideas with Karen she mentioned that she actually saw the Dawn Upshaw and Peter Sellars production when they visited the American Academy in Rome. It was meant to be! Working with a visual artist has been such a thrilling new experience for both Martha and me. It has opened us to new ideas and new ways to see our performance in context and I am incredibly excited to share that with you. Artists often work in solitude – burning the midnight oil to make sure they can present their work for one performance or a short run in a gallery. It has been enlightening to see this project come together since 2011 with all of the life changes that happen during that time and I want to be able to share the whole process with friends, family, and others that are working on their own long-term projects. This performance is truly one-of-a-kind and I do not want it to happen in a vacuum. It is a special opportunity for me to collaborate with Martha and Karen on this challenging and inspiring work. We will need help though. We will need help spreading the word so that the work we have put in to this project since 2011 can continue to grow. Can you help us? Can you help us by inviting your friends who are interested in one-of-a-kind experiences to our Facebook event? Already know you’re going? You can purchase tickets right now through Atlas. Finally, we need your help to amplify our efforts. Will you help us by sharing this post? Have an idea you want to share with us? Tweet me at @mezzoihnen or share with the hashtag #KafkaFrag. Keep an eye out for more Kafka-Fragmente blog posts right here on the Sybaritic Singer.